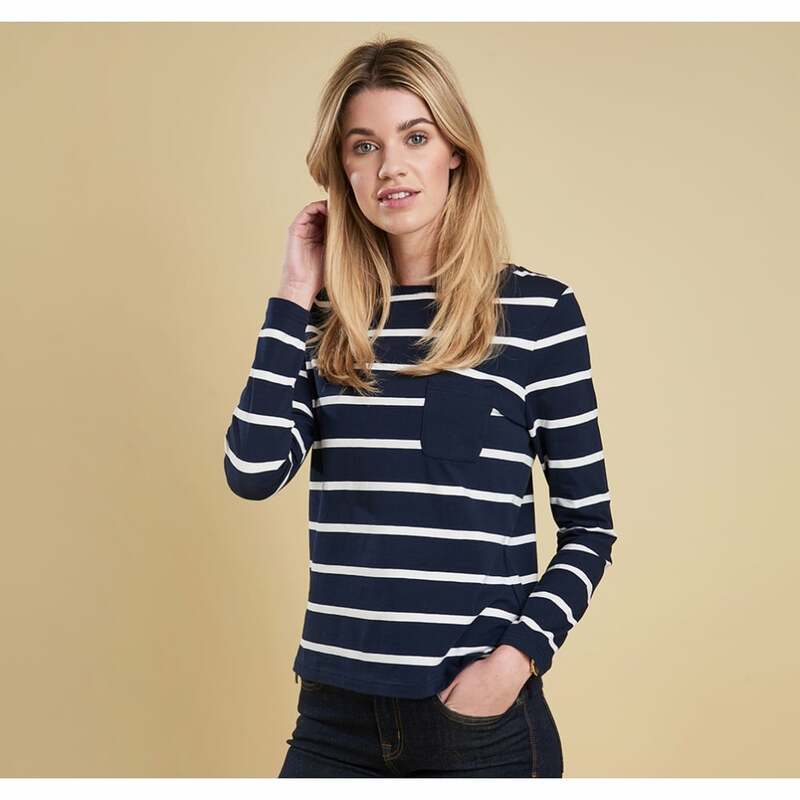 New to this season the Beachley top has been designed in a flattering stripe with long sleeves. This nautical top also features a wide neckline and solid colour chest pocket. Finished with classic Barbour Beacon branding and Barbour branding to the back neck tape.